Jerry Dias, speaking Feb. 17 at the first Automotive News Canada Congress, said that while he considers Trump to be “terrible” on most issues, his presidency gives the labour movement a chance to see its dream of renegotiating NAFTA come true. 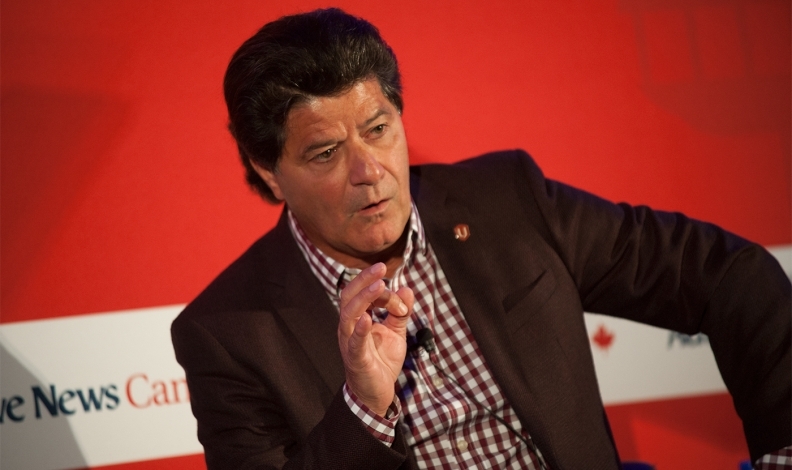 TORONTO -- United States President Donald Trump’s calls to renegotiate NAFTA and the Liberal federal government’s friendlier approach to the Canadian auto industry could combine to potentially reinvigorate Canada’s auto sector, Unifor President Jerry Dias said in a fiery address. Dias, speaking Feb. 17 at the first Automotive News Canada Congress, said that while he considers Trump to be “terrible” on most issues, his presidency gives the labour movement a chance to see its dream of renegotiating NAFTA come true. Trump has called on the U.S., Canada and Mexico to renegotiate NAFTA, which he has characterized as being unfair to American workers who have seen manufacturing jobs shifted overseas and to Mexico. The renegotiations have the potential to rattle the auto industry, as automakers and suppliers have shifted much of their manufacturing operations from Canada and the Midwestern U.S. to lower-wage Mexico. Speaking with Automotive News Canada following his remarks, Dias said any NAFTA renegotiation must include minimum wage standards. Dias said he speaks “frequently” with federal government officials on trade and said he is encouraged by the conversations he has had on the topic. Dias praised the government for taking a friendlier stance on auto policy than it did under former Prime Minister Stephen Harper, saying the Liberal government helped Unifor secure more than $1 billion in investment commitments at Canadian plants during 2016 labour talks with the Detroit Three. Unifor will negotiate a new contract for workers at General Motors’ CAMI assembly plant in Ingersoll, Ont. The plant was not included in the contract Unifor negotiated with GM last year. GM said earlier in January that it would eliminate more than 600 jobs at the plant as it shifts GMC Terrain production to Mexico, setting the stage for potentially contentious talks between the automaker and Unifor.